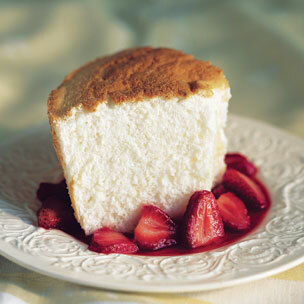 This is just a quick follow-up to the previous post on angel food cake. To top the cake, I made some fresh whipped cream, which was quite simple…1/2 pt of heavy whipping cream, 1/4 tsp vanilla extract, 1/4 tsp orange extract and 1/2 cup of fine sugar (or powdered, but that has some anti-caking agent). Whip until medium to medium-hard peaks and refrigerate or use immediately.